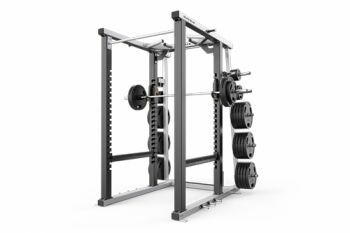 The MEGA Power rack has three retractable lower band pegs on each side (six in total). You can make bar-level changes quickly and easily by using the visual height indicator and coloured locking pin. It makes lifting safer and quieter, ultimately making the lifting much more comfortable for the user.